Welcome to B & B Industrial Hardware & Metals, where we provide for all your steel, aluminum and steel industrial hardware needs. 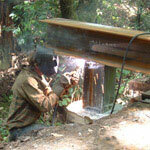 We're a complete steel service center servicing Ukiah and Lake counties, with a range of steel, aluminum, stainless, hand tools, fabrication tools, culvert, and the largest fastener selection in the county.. 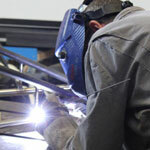 Whether you are a seasoned welding professional or a small shop, we have all the material you need to complete your job. 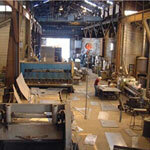 From building a bridge to a custom gate for your home, B & B Industrial Hardware & Metals has everything you need. Call us today at 707-463-1223 and speak with one of our specialists. We are also available via email for questions and service requests. From lumber mills to large scale factories, we supply industrial grade raw and finished materials to the most critical specifications. 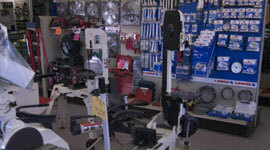 When your business needs the support of a dependable supplier, you need someone local to turn to. We have been helping local businesses meet their clients needs for more than 50 years and we can help you for another 50 more! From the welding hobbiest, to the weekend warrior, we supply speciality metals and hardware that no Home Depot or Ace will carry. Having problems finding a specialty items... that's our specialty! Give us a call and let us hunt down your hard to find tool, metal fitting or hardware requirement. Copyright ©2012 B & B Industrial Hardware. All Rights Reserved.